All cities have to deal with crime, although it’s obviously much worse in some places. The city with the highest crime rate in the world is in fact San Pedro Sula, the second largest city in Honduras. With no disrespect to Honduras, this city is not the sort of place that a casual tourist can visit safely. The honor of being the safest city on the planet goes to Tokyo. This is measured by digital safety (as in how likely are you to have your personal data stolen), life expectancy, crime rate, and personal safety. When all these things are factored in, the Japanese capital comes out on top. 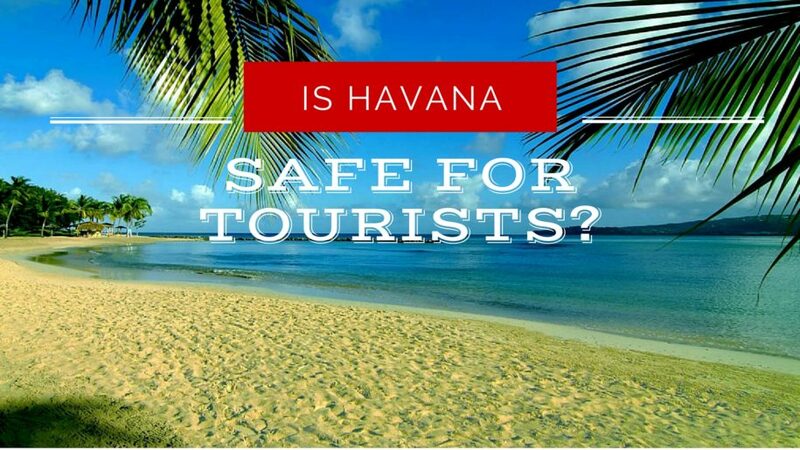 When traveling to the Cuban capital, you will no doubt be asking yourself, is Havana Safe? While the city is not the safest in the world, it’s still pretty darn safe for a variety of reasons. You still need to take some smart precautions to avoid crime, but all in all, your time in the Cuban capital will be a very safe one indeed. So what are some of the things you need to consider? About the biggest crime you need to think about when asking is Havana safe is the matter of pickpockets and bag snatchers. These annoying people will strike in any city in the world where tourists gather together, and while it’s rare in Havana, the city is not immune to it. So it’s up to you to make it as difficult as possible. You might want to carry difficult-to-replace valuables such as a credit card and passport in a money belt that is hidden underneath your clothes. You should also never put your wallet (or anything of value) in your back pocket, as a skilled pickpocket can empty this particular pocket without you being in the slightest bit aware. There are a lot of police on patrol in Havana, so this acts as an excellent warning to any potential thieves. Sometimes there are just too many police around for them to bother, which is awesome news for travelers. Actual muggings don’t happen all that much, but despite the visibility of the police, you can’t assume that it will never happen when thinking about is Havana safe for visitors. Don’t wear flashy watches or jewels. You probably shouldn’t take these things with you when you take a vacation anywhere, since you wouldn’t want to lose these expensive things. Cubans don’t tend to wear flashy watches or jewels anyway, so you shouldn’t draw attention to your wealth. If you do travel with these items, it can be smart to keep them in your hotel’s safe or safety deposit box, and only take them out when you really need them. When you’re at a club or a bar, you should never leave your personal belongings unattended. If you should get up to test your salsa moves on the dance floor, never leave your bag or camera on the table behind you. It’s really just common sense, but these “seize the opportunity, seize the goods” crimes are about the most frequent type of crime in Havana. There is one thing that you will almost certainly be confronted with, but it’s more of an annoyance rather than a crime. Sadly, there are quite a few scam artists at work in Havana. Be cautious about friendly people who randomly approach you on the street and ask you about yourself. Many of these people are being friendly, but if the person pushes the conversation in the direction of asking you if you want some amazingly cheap cigars or if you want to meet a beautiful woman (or man), then politely but firmly say you’re not interested and just walk away. These scam artists can be rather charming (which is how they succeed), but it gets a bit much if it happens a few times each day. You might also be confronted by locals who will provide you with a sad story and then ask for money. These sob stories are all too common, and it’s hard to know if the person is being honest. It’s been noted that a number of women will ask for money which they claim is to buy formula for their baby. This is almost certain to be untrue. The government rations such essential items and they are provided to all mothers. Is Havana Safe for Female Travelers? Is Havana safe for single women? It is, for the most part. Single women might find random men calling out to them, and even if you don’t speak Spanish, you can probably guess what they’re saying, especially when they make kissing sounds. There is this machismo side to many Cuban men, and it can be a little bit annoying. Again a firm no is the best way to deal with such things, and don’t feel you need to be polite about it either. You need to be very careful about taking photographs. Sure, feel free to snap photos of all the beautiful sights that you see, but there are some exceptions. Do not take photographs of any military personnel, military buildings, or even the police. You are unlikely to get into serious trouble, but you might be instructed to delete the photos. There are some circumstances where you might not be the victim of a crime, but a criminal yourself. Illicit drugs (including marijuana) are illegal, as is prostitution. Having said that, it’s possible that you might be offered one or both of these things. It’s best to say no. This is not making any kind of moral judgement, it’s just that the penalties can be severe. And being a foreigner who says that they didn’t know it wasn’t allowed probably won’t get you out of trouble. I am a teacher and because i want to qualify for an educational license, i plan to take school supplies and letters from my students to Cuban school kids. Will this qualify me for an educator license?